Special counsel Robert Mueller has withstood relentless political attacks, many distorting his record of distinguished government service. 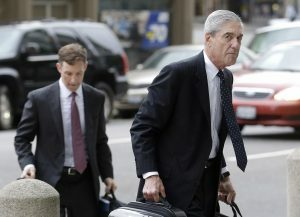 But there’s one episode even Mueller’s former law enforcement comrades — and independent ethicists — acknowledge raises legitimate legal issues and a possible conflict of interest in his overseeing the Russia election probe. The Levinson mission is confirmed by more than a dozen participants inside and outside the FBI, including Deripaska, his lawyer, the Levinson family and a retired agent who supervised the case. Mueller was kept apprised of the operation, officials told me.